House concerts are intimate musical experiences created for the mutual enjoyment of audience and performer. Just like it sounds, they are small concerts performed in private homes to an attentive audience allowing the audience to really hear the notes and lyrics and get to know the artists on a personal level. 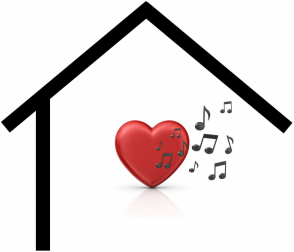 Heart in the House Is NOT a venue. It is a HOST driven model where the host is in the driver's seat; deciding what performers they wish to have perform in their home, inviting guests and we fill in the blanks creating an easy process for everyone. These are Private Events. The performers are primarily local but we also organize concerts for touring audiences for artists that have established audiences here or wish to co-show with local performers. If you are interested in hosting one of these great events please submit a request through the mailing list indicating your interest to host and any other comments. You will be contacted and a private meeting will be arranged.